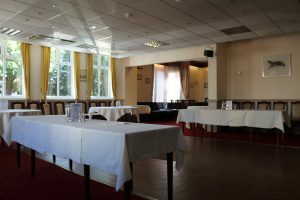 The Club has a number of rooms available for hire or for use by the members as a valuable part of their membership package. The Restaurant is the largest room available. Seating up to 80 comfortably, it is a versatile space which can be used for weddings, parties and wakes as well as being our main dining room for larger functions. It has a parquet area as a dancefloor, and can seat 100+ theatre style for seminars, conferences and larger meetings. Also within the restaurant area is our wine and cocktail bar which is opened for bigger functions and specific events that require this facility. The Wilson Room is named in honour of Mr Con Wilson, OBE. The Wilson House Building company was owned by local benefactors Con and his brother Lynn. One of the many bequests for the betterment of the county was re-furbishing this room back to the standard of its heyday. This room can seat up to 20 to dine in a more intimate fashion than the Restaurant and can be also used for meetings and seminars. 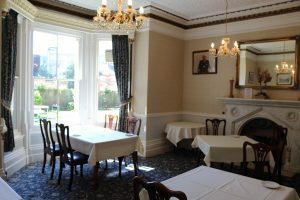 The Osborne Room was formerly the office of the Club’s catering department. 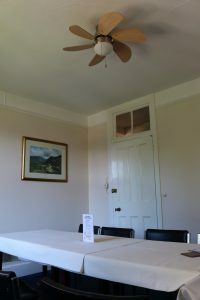 Following the kind legacy of longstanding member and Trustee Frank Osborne, this room can seat up to 15 for meetings.